Juli Briskman held just an ordinary midlife career position until photographers caught her on what would become a life-changing bike ride. As the Trump motorcade went by, she couldn’t resist flipping her middle finger in their direction. You can read the full story here. Then some photographers, trailing the motorcade, snapped her photos. They went viral. Again, that wasn’t a problem. There was no way to identify her: brown-haired ponytail under a helmet? Shirt and black leggings? A hundred women in the area would match that description. Her friends, family and employer would never have made the connection. Sabotage Move #1: Unnecessary Sharing and TMI. When you come to work, put on your game face. Everything you say and do will become part of your work persona, grist for the job mill. Think of yourself as an actor playing a part. To be successful, you have to throw yourself into your role. You become your character…but only for the duration of the play. Offstage, you’re back to being your real self. Sure, some actors have to change their weight or their hair for a part, but those are just the externals. Once the movie shoots are done or the play ends a run, you go back to your real self. Your stage may be harder to recognize because it’s not a specific place and time. You’re “on” when you’re attending an office party, the company picnic, a get-together for drinks after work, a casual “How was your weekend” conversation, a meeting with clients or job applicants … any place you’re doing things that could affect your job. So come up with something “safe” to share. Or choose only the relevant details. Most of us have been taught to be open and authentic, so it’s often hard to hold back and resist baring our souls at the slightest provocation. When you’re single, or new to a town, or unable to connect with personal friends, consider working with a coach or therapist. The money you spend will be paid back many times over, as you’ll find it easier to resist the temptation to share. Sabotage Move #2: Forgetting that you’ve got a business relationship with your employer. You’re hired because you can bring benefits to the company. No one in the company — even HR and Employee Assistance — will put your interests ahead of the company’s. Nor should they: a business has a moral (and sometimes legal) obligation to deliver profits to its owners, including shareholders. When a company offers benefits, encourages diversity or gives special consideration to an employee who’s ill, they’re making those choices because it’s good business. Getting known as a “family-friendly” employer allows the company to recruit higher-quality professionals. And when an employee interferes with the profit function, some tough decisions need to be made. That’s why I encourage everyone to have a side hustle — an avenue of self-employment that can become your ticket to freedom. Being laid off will rarely be easy — but if you’ve got a side hustle, you won’t be devastated. Some people use their layoffs as an opportunity to expand their side hustles. I interviewed 12 people who made the transition, including some who expanded their side hustles into 6-figure and 7-figure businesses. You can get that program here. In particular, the Human Resources department doesn’t exist to help employees. They help the company implement strategy without running afoul of the many laws affecting employee-employer relationships. I encourage my clients to deal with HR very carefully. They’re trained to get information from you; they’re not encouraged to be your advocate. If your manager violated a policy, a clever HR manager will find a way to save the manager and penalize the employees, if that’s what the company wants to do. At exit interviews, resist the temptation to share your frustrations “to help the company.” If your company wants help, they’ll hire — and pay for — a consultant. That’s when they’ll listen. If they see that people are leaving in droves after a certain manager was promoted, they’ll either take the initiative to investigate or they’ll decide that the manager is more mission-critical than all those employees put together. Sometimes my clients are surprised to discover they can skip the exit interview entirely, with no consequences to their final paychecks or their reputation. You have to study the culture. So Juli’s second step to sabotage was to march into HR and share her story, uninvited. There was no reason to do this. True, sometimes you have an experience that you feel, “I’ve just GOT to tell somebody.” That’s why it’s a good idea to identify a good coach before you need one. 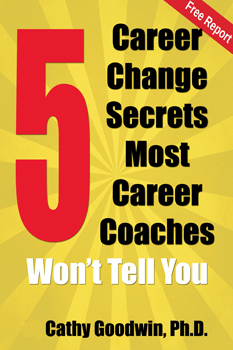 Calling that coach will help you overcome the impulse and maybe save your career. And HR, in particular, is not your friend. Sabotage Move #3: Getting career advice from your the people who are paying you. Richard worked for a financial management firm. He was doing well on the job. One day, out of the blue, a recruiter invited Richard to apply for a higher-paying job with another firm. Richard didn’t have a no-compete contract, so he interviewed and received an offer. Then he talked to his boss. He shared that he’d received an offer. He wanted to know, realistically, what his chances were with his current company. So Richard declined the offer. A few weeks later, his boss resigned … taking the same job Richard had turned down at the other company. The truth is, many career consultants have heard stories like that from clients in many industries … even nonprofits. And it’s certainly true that many executives find mentors within their own firm. 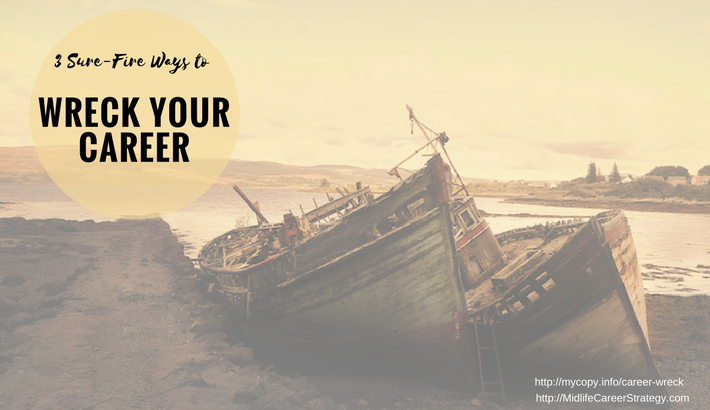 They get honest, supportive advice that helps their careers. But ultimately it’s up to you. Use your intuition — and the hard evidence you collect — to assess how helpful your boss’s advice will be. Take your colleague’s advice with an even larger grain of salt. Even if they genuinely want to help, they often don’t see the big picture any more than you do. They may not have access to information about the company — or about you — that will be critical to your future. Information might be, “Colleague X was promoted after completing a certain assignment.” Or, “Colleague Y was fired after taking certain actions.” Interpreting this data is up to you. If you want help in finding patterns and lessons among the facts, consult with a trusted friend outside the company or spend the money to hire a consultant. Get an outsider ‘s perspective. Juli, the infamous bike rider, made some mistakes with the information she had. Fact: Her company claimed she’d shared offensive material on social media. She claimed a colleague had shared even more offensive material on a page with the company name. Her actions differed in two ways. First, she’s female. She can expect to experience harsher reactions and needs to decide how she’ll deal with them. Second, she was invited to a meeting with HR. Possibly lawyers were present. They encouraged her to resign to avoid the consequences of being fired. Yet those were not her only options. When clients tell me they’re being called to a sensitive meeting, I encourage them to seek legal advice. I’m not a lawyer and don’t give legal advice myself. But if you know you’re going into a meeting and the company’s lawyers might be there, you need to understand your own options. If you aren’t given any warning, resist the temptation to sign anything. Ask for a day or two to “think about it.” Then get on the phone and find an employment lawyer who can help you figure out your options. For instance, a letter from a lawyer might be enough to keep Juli’s record clear. The lawyer could negotiate an agreement to make sure Juli got a neutral reference — just dates of employment and titles, for instance. Then Juli could ask her bosses and colleagues if future employers could reach them directly. It’s a bit of a stretch. But Juli could also bring up the point that a colleague hadn’t been terminated despite writing offensive material on a site with the company name. A lawyer would know how to leverage that information. If Juli’s been with the company a long time, they might even negotiate for severance payments. Companies don’t want bad publicity, so Juli would probably have to refuse to disclose the nature of the settlement and the terms. It’s possible that Juli had been hating her job for a long time and was more than ready to leave. 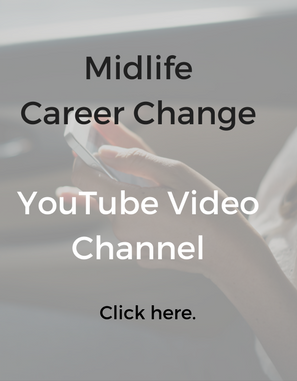 It’s not at all unusual for mid-life career professionals and executives to sabotage their careers when they aren’t willing to face the the reality of a job change. I offer one-to-one consultations on career challenges. I work with clients who want to make changes in their careers, and also with those who are facing a crisis due to a performance review. I’m not a lawyer so we focus on the career outcomes — not legal options.